Amid much criticism the Government of UK has issued the long awaited Guidance Procedures to support the implementation of the UK Bribery Act which was passed on 9th April 2010. 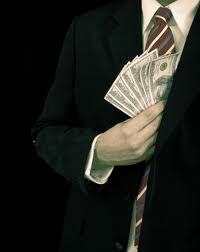 The Government says the Act aims to ensure the UK can clampdown on corruption without being burdensome to business. For example, ensuring anti-bribery procedures are proportionateto the bribery risks firms face and to the nature, scale and complexity of its activities. The Guidance issued on 30th March 2011 underscores six (6) principles which corporations seeking to avoid liability should follow. "The Bribery Act, as passed by the last Parliament, is one of the best anti-bribery laws in the world. But the Guidance will achieve exactly the opposite of what is claimed for it. Parts of it read more like a guide on how to evade the Act, than how to develop company procedures that will uphold it. ‘It is deplorable that changes made to the draft Guidance since late last year, and now enshrined in the published version, depart from international good practice in several areas. The Ministry of Justice has exceeded its brief with this final Guidance which undermines the Act and will limit its effectiveness. There is now a significant risk that bribery will go unpunished." The Bribery Act 2010 was passed with all-party support. It introduces an offence of corporate failure to prevent bribery unless a company can prove that it had ‘adequate procedures’ in place to prevent bribery. The Secretary of State for Justice is required, by section 9 of the Bribery Act, to provide official Guidance on ‘adequate procedures’. The corporate offence of failing to prevent bribery can only come into force after the Guidance has been issued. Transparency International UK has been campaigning for early publication of the official Guidance that would not dilute the Act. Publication of the Guidance was delayed by further consultations in late 2010 and a last-minute burst of lobbying in early 2011 by some business groups. It is expected that the Act will come into effect from July 2011. Download a copy of the UK Bribery Act 2010 and the Guidance.